Thailand is home to a wealth of artistic venues, with galleries, coveted art spaces, and contemporary exhibitions found across the country. 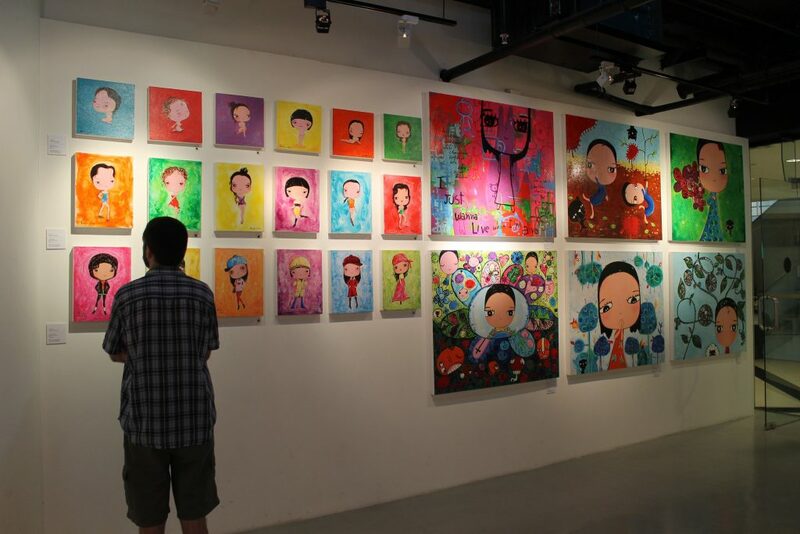 Gallery-goers, prepare to be amazed as we roll out the seven best art galleries in Thailand. The Bangkok Art and Culture Centre (BACC) is located in the heart of the capital. It is only steps from the BTS skytrain station National Stadium and is connected to the platform by an elevated walkway. The unique venue opened in 2008 after the capital was in desperate need of a public art space, and it is home to cool restaurants, workshop venues, cafés, and more. Its main purpose is to act as an art gallery, with every detail of its design dedicated to showcasing artwork in the most aesthetically pleasing way possible. The central atrium in which the galleries surround winds upward with a large skylight, filling the venue with ample natural lighting. There are always multiple exhibitions and shows being held at this art gallery. The Bangkok Art and Culture Centre is open every day but Monday from 10 a.m. to 9 p.m.
Thai artist Torlarp Larpjaroensook is the mind behind Gallery Seescape. This is only one of his art expeditions, as he later went on to open Hern Gallery some seven years later. The space is wide with bright, white walls which are decorated with whatever exhibition the art gallery is holding at the time. Though its main purpose is to serve as an art gallery, Gallery Seescape is also serving up café favorites including coffee, soda, and cake, as it is home to SS1254372 Café. Visitors can meander the space while snacking on some delicious treats. 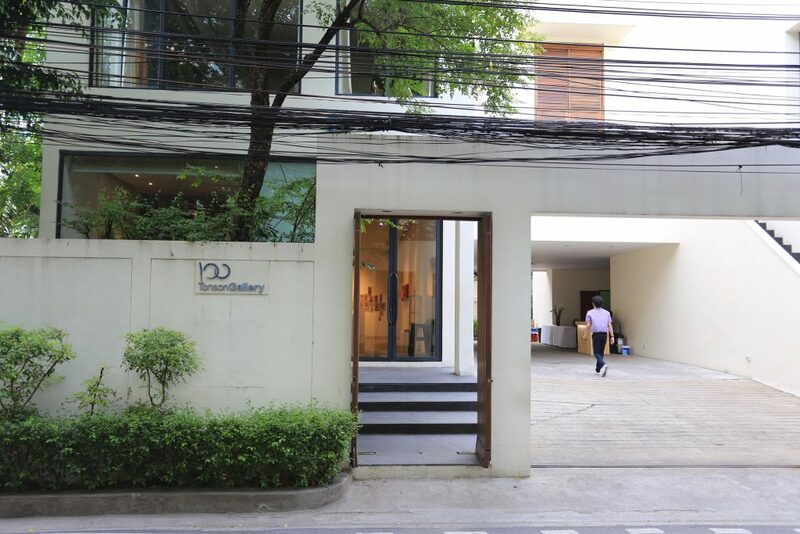 Gallery Seescape is open every day but Monday from 8 a.m. to 8 p.m.
100 Tonson Gallery showcases both international and local artists at its cool art gallery space between the BTS skytrain stations Chitlom and Phloenchit. The gallery showcases contemporary art and rocks minimalist décor, as the gallery allows the artwork to spice up the venue for them. The space was designed by Christian Liaigre, a noteworthy French designer. 100 Tonson Gallery was the first gallery in Thailand to participate in the revered Art Basel in Switzerland in 2011. 100 Tonson Gallery is open Thursday through Sunday from 11 a.m. to 7 p.m.
A printmaking studio, artistic hub, music school, gallery, coffee shop: Kalwit Studio & Gallery seems to encompass all that is cool. 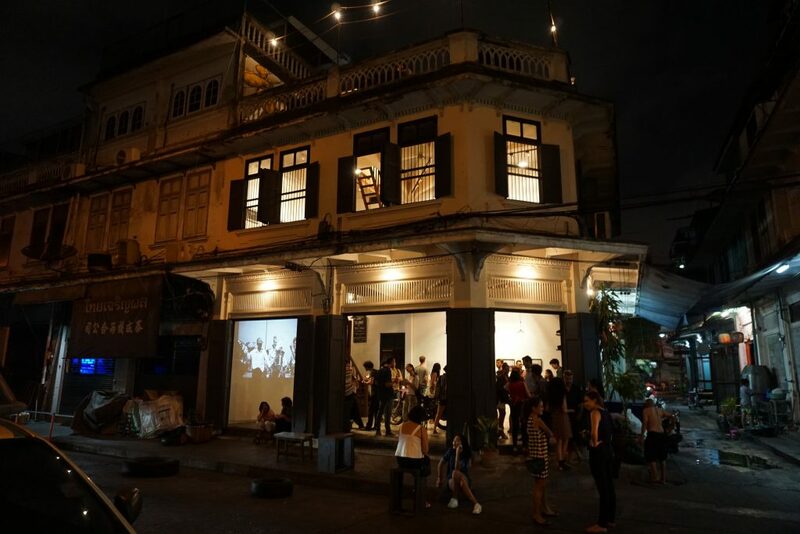 The space was originally the home of Thai artist Wal Chirachaisakul before he transformed the home into a unique, laid-back hangout spot in downtown Bangkok for art connoisseurs to gather and enjoy its creative vibe. Kalwit Studio & Gallery is quite popular, with crowds of people milling inside the art space as well as spilling out into its outdoor area. Kalwit Studio & Gallery is open Tuesday through Saturday from 10 a.m. to 6 p.m. Located in the historic and buzzing area of Chinatown in Bangkok is Cho Why. This collaborative art space is found near Talad Noi, an area known for its unique finds, and Cho Why is certainly no exception. The colonial-looking structure sits nestled on a street corner and branches out on either side. Light escapes the building through shuddered windows and doors embellished with green paneling. It is home to many short-term exhibitions, works in progress, and installations. It oftentimes houses entire wall installations that cover a good majority of its gallery space as well. Crowds of gallery-goers can be seen milling in and out of this noteworthy art venue as they gather to appreciate and wonder at the noteworthy art installations, exhibitions, and more. Be sure to check their Facebook to see what they plan on hosting next, as it is only open when the space is occupied or by appointment only. The northern capital of Chiang Mai is equipped with a thriving art community, and some have even dubbed it as the art capital of the country. Galleries and art spaces sprinkle the city, allowing for those visitors who want to remain part of the art scene while traveling to do so with gumption in this particular city. One of the most noteworthy galleries of them all is the Sangdee Art Gallery and Café. The gallery and coffee shop duo showcases and promotes local artists and also holds a series of workshops which attract both locals and tourists alike. It is run by a non-profit foundation which aims to create a sense of community by fostering an environment that encourages engagement. The gallery is open Tuesday through Saturday from 11 a.m. to midnight. The city of Kanchanaburi is spotted with historic relics, including museums, cemeteries, and art galleries. One of these notable finds is the Arts Gallery and War Museum. While it is not as noteworthy as the other galleries on our list, it is undoubtedly unique. It is made up of a hodgepodge of artifacts, including photographs taken during World War II, artistic murals, and more. Visitors can also see the Death Railway Bridge from inside the gallery and museum duo. The Arts Gallery and War Museum is open Monday through Friday from 7 a.m. to 5:30 p.m.